Dr. Andrews knew early in life that he wanted to help people feel good about themselves. 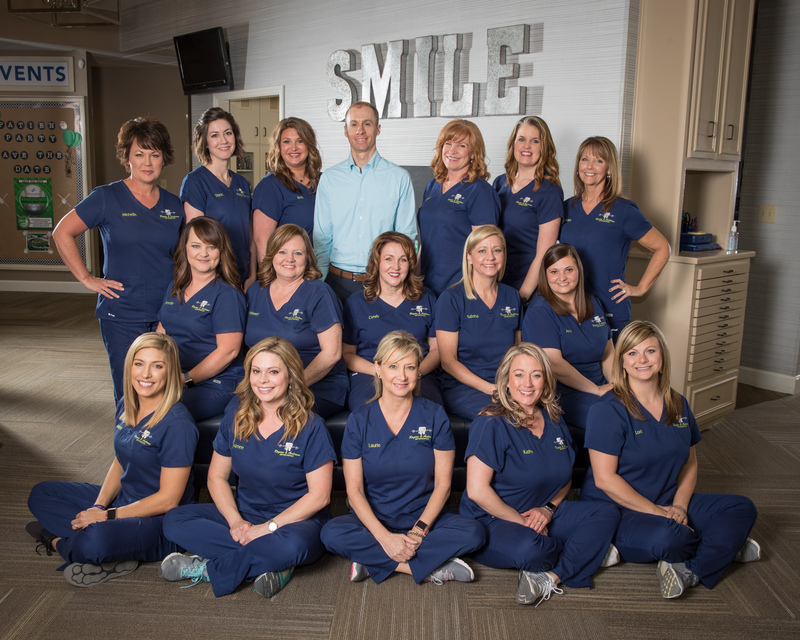 Becoming an orthodontist gave him the opportunity to do just that by improving patients’ smiles and overall self-confidence. 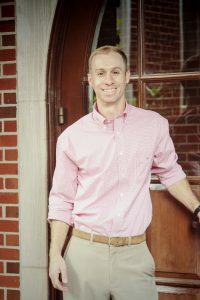 After graduating from the University of South Carolina, Dr. Andrews attended the Medical University of South Carolina College of Dental Medicine where he graduated near the top of his class. In addition to scoring one of the highest scores on part one of the National Dental Board Exam; he was active in leadership serving as Class Vice-President, President of his dental fraternity Psi Omega, and Editor in the American Student Dental Association. Dr. Andrews continued his education after dental school by specializing in orthodontics at the Medical College of Georgia. Furthermore, Dr. Andrews went above and beyond and became Board Certified by the American Board of Orthodontics, a distinction not all orthodontists share. Dr. Andrews has continued to stay involved in organized dentistry by serving as President of the Augusta Dental Society (2011-2012) and as President of the Eastern District Dental Society (2011-2012). Dr Andrews remains active in dental leadership roles and has served as President of the Augusta Dental Society, President of the Eastern District Dental Society, and is currently the President of the Georgia Association of Orthodontists. 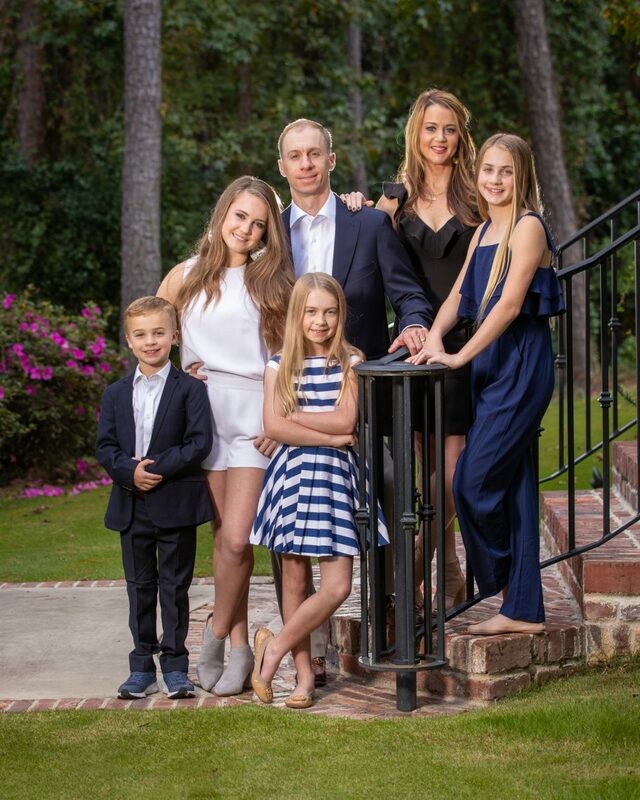 When not practicing excellent family orthodontics, Dr. Andrews enjoys spending time with his wife, Alison, his three daughters, Katie, Lauren, and Kelly, and his son Lee III. Dr. Andrews is also a huge Carolina football fan and loves to watch his Gamecocks in the fall. Laurie is our Office Manager and has been with our practice since 1986. She is also a Certified Orthodontic Assistant and has worked in many areas of the office. 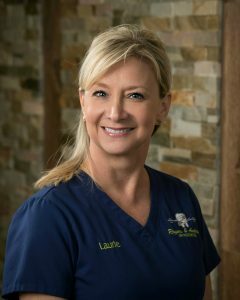 Laurie has been a speaker with Dr. Rogers at several orthodontic meetings including the Annual Session of the American Association of Orthodontists, the Pacific Coast Society of Orthodontists, North Eastern Society of Orthodontists and the Southern Association of Orthodontists. Laurie’s knowledge of computers ensures that our systems are always up to date and secure. During her time off, Laurie enjoys spending time with her family, doing yoga and figure skating. Michelle is our Clinical Supervisor and Patient Flow Coordinator. She has also worked as a Certified Orthodontic Assistant in our practice since 1990. 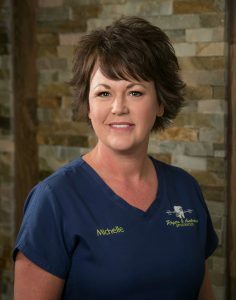 Michelle is a certified trainer for an Orthodontic Training Academy. Michelle’s ability to multi-task, willingness to help others, and contagious smile are definitely assets to our team. Michelle enjoys spending time with family and friends and cheering from the stands at one of her three boys’ sports events! 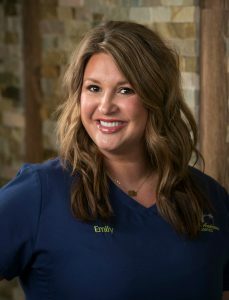 Emily is a Certified Orthodontic Assistant and has been with our office since 2003. She is very knowledgeable and dedicated to providing excellent care to all patients. Emily enjoys going to Hilton Head with her family, entertaining, and playing with her twin boys. In her free time, she also enjoys watching sports of all kinds, especially the Georgia Bulldogs. 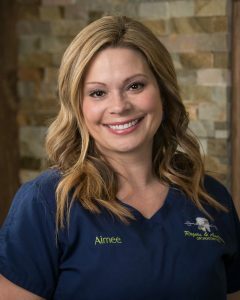 Aimee has been a Certified Orthodontic Assistant for over 10 years. She recently re-joined our practice in 2017. Aimee’s overall love of people and caring smile put the most nervous patient at ease. Aimee enjoys taking family vacations to the mountains and the beach. She is a supporter and volunteer for Heart & Sole Inc., Augusta Humane Society & Miracle Mile Breast Cancer Walk. 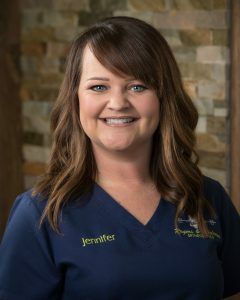 Jennifer is a Certified Orthodontic Assistant and came to our practice in 2005. Jennifer is known for being detail oriented and very friendly. Jennifer enjoys spending quality time with her son and cheering him on while he plays baseball. With her free time, she enjoys shopping and scrapbooking. Jennifer hopes to one day travel the U.S. and learn to play the guitar. 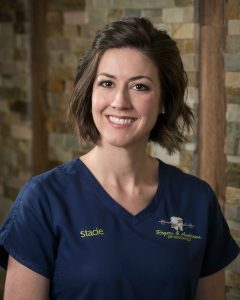 Stacie is a Certified Orthodontic Assistant who joined Rogers & Andrews Orthodontics in 2006. 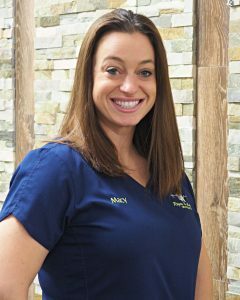 Stacie always greets patients with a friendly smile and is dedicated to treating them in a gentle and caring nature. In her free time she enjoys spending time with her family and friends. Stacie is always willing to take a trip to the beach, head to the mall for shopping or snuggle in with a book. Summer is a Certified Orthodontic Assistant. She joined our practice in 2013 and brought five years of orthodontic experience with her. 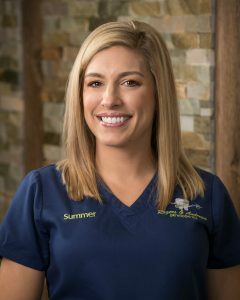 Summer loves meeting new people and is committed to providing each patient with a great experience in the office. In her time away from work, Summer is a group fitness instructor and enjoys the outdoors and spending time with family. 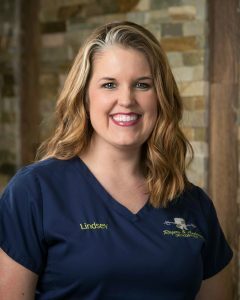 Lindsey is a Certified Orthodontic Assistant and joined our practice in 2010. Her open and warm-hearted personality lets patients know that she cares and is always willing to help. Lindsey enjoys spending time with her family, horseback riding, and photography. She is also a sports fan and cheers for the UGA Bulldogs, Atlanta Falcons, and Atlanta Braves. Sabrina is a Lab Technician and a Certified Orthodontic Assistant. She has been with our office since 1998. 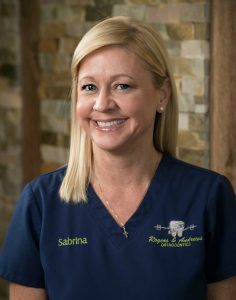 Sabrina is responsible for making all of our Orthodontic appliances for patients, including fixed and removable growth and retention appliances. Sabrina is known as the “MacGyver” of the practice because she is always handy at making repairs throughout the office. Cheryl is a Lab Technician who has been with our office since 2008. She prepares study models for consults and makes all retainers for our patients when they have their braces removed. Each retainer fits perfectly due to her close attention to detail and dedication to her work. Outside of work, Cheryl enjoys doing crafts and loves camping and hiking with her family in the Adirondack Mountains. 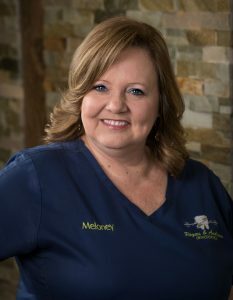 Meloney is our Treatment Coordinator. 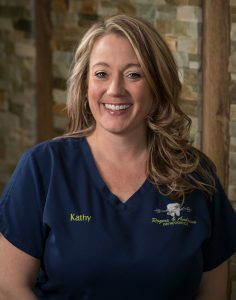 She has been with the Rogers and Andrews Orthodontic team since 2001. She explains treatment plans to patients, assists with new patient exams, and is also a Certified Orthodontic Assistant. Meloney’s kind spirit and nurturing manner make her a perfect fit for her position. In her spare time, Meloney and her family enthusiastically cheer for the Alabama Crimson Tide football team. She also enjoys spending time with her grandchildren. Lori is our Treatment Coordinator and Records Technician. She is also a Certified Orthodontic Assistant. She assists the doctors with the new patient exams. Lori enjoys meeting new people and her fun-loving attitude puts patients at ease. 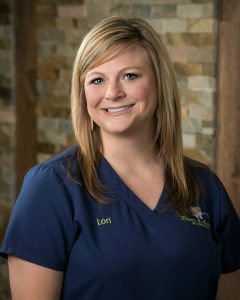 Lori joined our practice in 2010 and brought five years of dental experience with her. In her free time, Lori enjoys the company of her family, church, and vacationing at the beach. She’s also a huge fan of the USC Gamecocks. Susan is the Financial Coordinator for our office and has been with us since April of 1990. 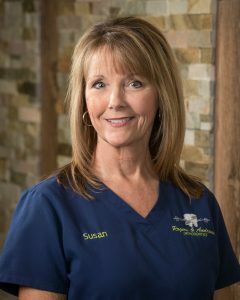 Susan has the ability to relate to our patients’ needs and exceeds in Customer Service excellence. Susan enjoys spending time with her family and friends. Her favorite activities include visits to the beach, decorating and Georgia football! Cyndy is one of our Scheduling Coordinators. She rejoined our practice 1998. 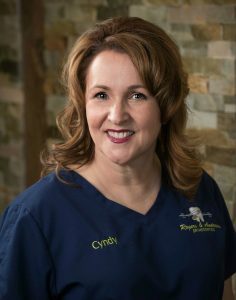 Cyndy has a great personality and loves working with people, this makes her a great member of our front office. She strives on greeting each patient by name when arriving in the office. Cyndy enjoys spending time with her family, making craft projects and singing with her husband, Tim, in the Southern Gospel Quartet. 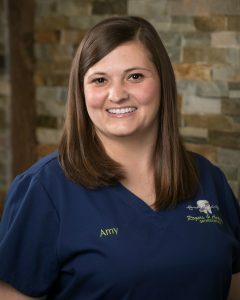 Amy, our Insurance Coordinator, joined our practice in October 2014. She handles the insurance for our patients and the correspondence for our doctors. She enjoys being part of a great team who strives to give our patients the best care possible and has over 10 years of insurance experience. Away from the office, she enjoys spending time with her family and taking weekend trips. Kathy is a Scheduling Coordinator. 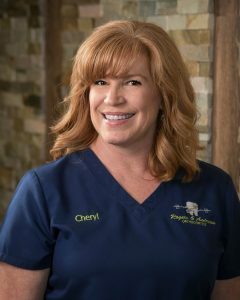 She joined our practice in 2012 and brought 15 years of dental experience with her. Kathy has an outgoing personality and loves working with others, which makes her a great asset to our front office. She also enjoys spending quality time with her family vacationing at the beach, being outdoors and watching her daughter play softball and her son perform in the marching band. Macy is one of our scheduling coordinators. She joined our practice in 2018. She has over 5 years of experience in hospital administration as well as working in patient care as a CNA. Macy’s caring personality comes across from the moment you meet her. In her free-time Macy enjoys relaxing at the lake and watching her sons play soccer and wake boarding.